We all rely on technology every day, but how many of us really harness it, or even know what’s available to help us in our work or leisure activities. 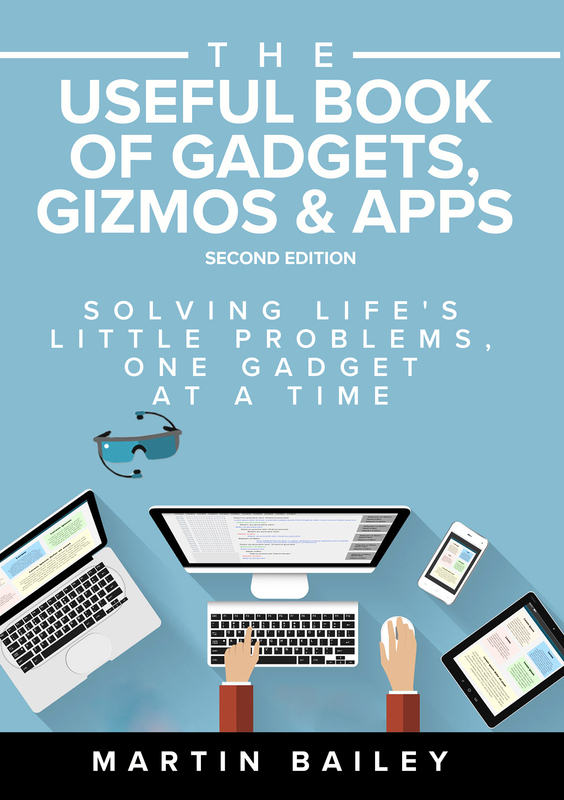 Now in its second edition, The Useful Book of Gadgets, Gizmos and Apps brings together everything you need to know about the latest technology, whether you are an unashamed techie or taking your first tentative steps into geekdom. This second edition has been completely re-worked, updating every single product to cover any further developments and refreshing many of the included images. A new section, Quick Hits, crams in even more useful technology and websites that still warrant a mention, and the Future of Gadgets looks a little deeper into where technology will continue to take us. The author, Martin Bailey, has been fascinated with technology ever since he swapped his Scalextric for a Sinclair ZX81 aged 11 and realised his generation was on the verge of something amazing. Since learning BASIC programming language in the 80s, he avidly followed the rise of technology and the explosive growth of the internet, before finally amalgamating his career with his passion to work for two award-winning software companies. The Useful Book of Gadgets, Gizmos and Apps is his eighth book, having previously written other guides to make technical know-how more accessible, including Learn to use a PC in 90 minutes. The Useful Book of Gadgets, Gizmos and Apps by Martin Bailey is due to be published on 17th November 2017 by Management Books Ltd., priced £12.99. For further information visit www.theusefulbookofgadgets.com. Essential reading for anyone interested in portable technology and the perfect gift for the person who thinks he or she has everything. There’s always that one person that’s impossible to buy for, but with the explosion of lower cost technology you can surprise them with a gadget that they’ll love that won’t break the bank. The Useful Book of Gadgets explains everything you need to know about the world’s most innovative, useful, fun and extravagant gadgets. Note to editors: None of the content that appears in this book has been sponsored. All items have been selected by Martin Bailey based on merit alone. Martin Bailey is an unashamed geek. His passion for technology started aged 11 when he bought a Sinclair ZX81, and quickly learnt basic programming before migrating to a ZX Spectrum, BBC Micro and then onto PCs in the early 1990s. His career has mainly been in sales and marketing, but has now completed the loop and is back working with innovative, cutting-edge technology at two award-winning software companies. 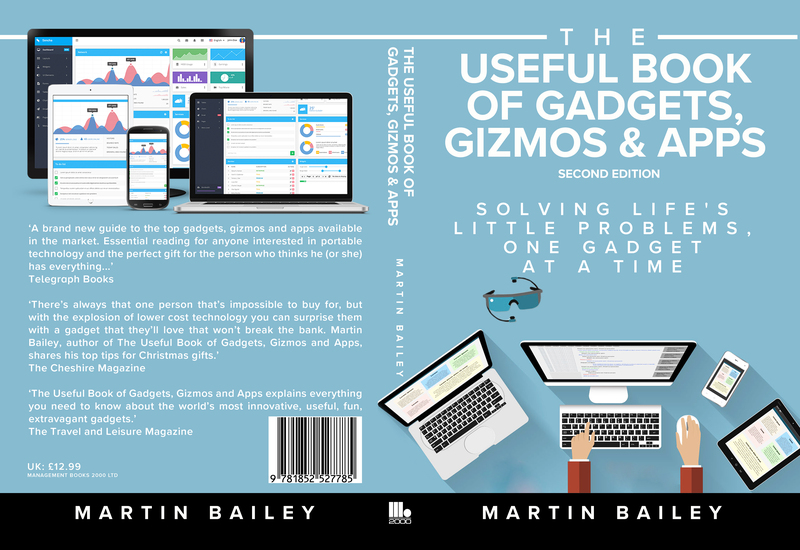 The Useful Book of Gadgets, Gizmos and Apps (2nd Edition) is Martin’s eighth book, having previously written other guides to make technical know-how accessible, including Marketing Your Business, Learn to use a PC in 90 minutes and Building a website using a CMS in 90 minutes.